TechAlabama is a 501(c)(3) organization affiliated with TechBirmingham. TechAlabama seeks to encourage, inspire and ignite children and adults to discover and explore technology, learn to code and pursue STEM careers. The work of TechAlabama serves to help TechBirmingham achieve its goals of expanding the region’s technology ecosystem. 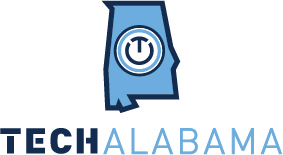 The mission of TechAlabama is to increase the number of people in Alabama with an interest in STEM based careers and the skills to pursue those careers. To help achieve our goals our core focus in on the promotion of STEM based careers and opportunities to a diverse audience and providing programs, with a focus on technology, that cultivate interest and ability in STEM careers.